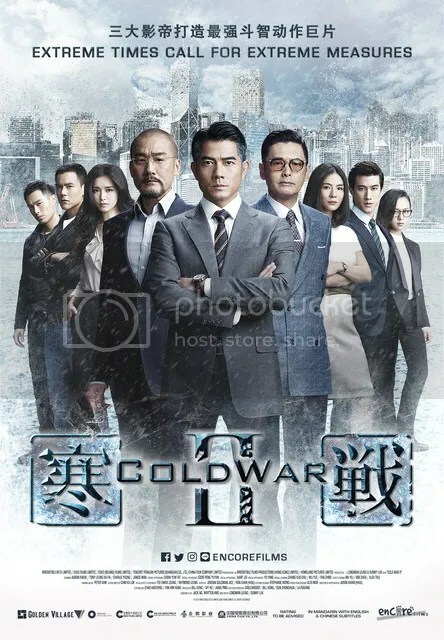 The Hong Kong police blockbuster COLD WAR 2 寒战 2 stars will in Singapore from July 5 to 6. Fans of Chow Yun Fat 周润发, Aaron Kwok 郭富城, and Eddie Peng 彭于晏 can catch a glimpse of them on July 5 at the Marina Bay Sands’ Skating Rink for the red carpet event at 8 pm before they make their way to the Gala Premiere. If you are unable to be at the red carpet on July 5, I am sure you will be able to be in front of your laptop or mobile phone on July 6 at 11.30 am since it is a public holiday. 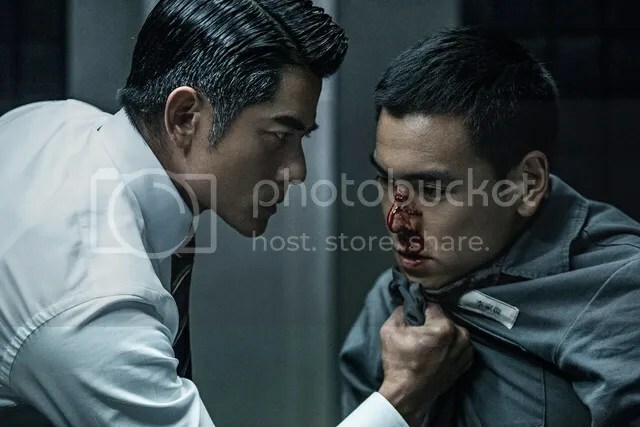 Aaron Kwok and Eddie Peng will be on a live chat session on Encore Films’ Facebook Page. Take this opportunity to ask them questions that you have been wanting to ask during the 30 minutes session. Do look forward to COLD WAR 2 寒战 as they bring you more elaborate and adrenaline-packed storyline! COLD WAR 2 will be in cinemas on 8 July. COLD WAR 2 is co-distributed by Encore Films and Golden Village Pictures in Singapore.